Background : Selecting the device size using a sizing balloon could oversize the ostium secundum atrial septal defect (OSASD) with floppy margins and at times may lead to complications. Identifying the firm margins using trans-esophageal echocardiography (TEE) and selecting appropriate-sized device optimizes ASD device closure. This retrospective study was undertaken to document the safety and feasibility of device closure without balloon sizing the defect. 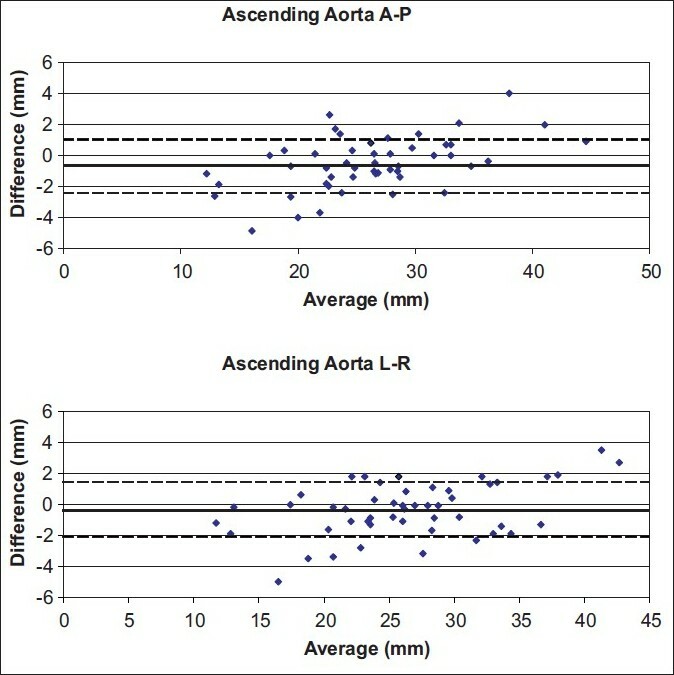 Methods : Sixty-one consecutive patients who underwent trans-catheter closure of OSASD guided by balloon sizing of the defect and intra procedural fluoroscopy (group I) and 67 consecutive patients in whom TEE was used for defect sizing and as intraprocedural imaging during device deployment (group II) were compared. 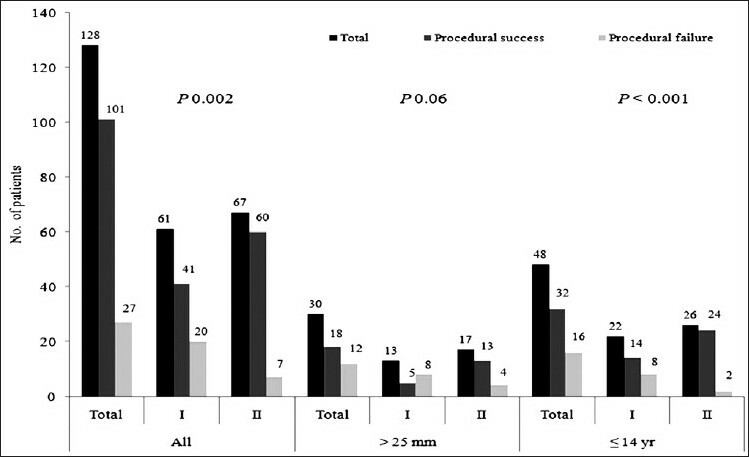 The procedural success rate, device characteristics, and complications were compared between the two groups. Results : The procedure was successful in 79.7 % patients. 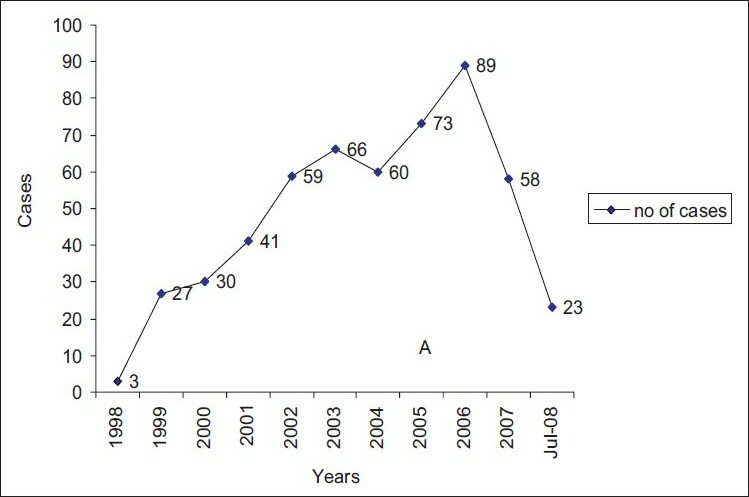 The success rate in group II (60 of 67, 89.6%) was significantly higher than in group I (41 of 61, 67.2 %) (P = 0.002). Mean upsizing of ASD device was significantly lower in group II (P < 0.001). TEE also provided better success rate with smaller device in subjects with large ASD (>25 mm) and in those who were younger than 14 years of age. There were four cases of device embolization (two in each group); of which one died in group II despite successful surgical retrieval. Conclusion : Balloon sizing may not be essential for successful ASD device closure. TEE-guided sizing of ASD and device deployment provides better success rate with relatively smaller sized device. Background : Contrast MRA (C-MRA) is the standard for quantitative analysis of thoracic vessels. We evaluated a noncontrast MRA (NC-MRA) sequence (3-D EKG and navigator-gated SSFP) for quantitative evaluation of the thoracic aorta and branch pulmonary arteries in young patients with congenital heart disease. Objective : To compare contrast and noncontrast magnetic resonance angiography for quantitative analysis of thoracic arteries in young patients with congenital heart defects. Methods : Measurements of thoracic aorta and branch pulmonary arteries were obtained from C-MRA and NC-MRA images in 51 patients, ages 2-35 years. Vessel diameters were compared using correlation and Bland-Altman analysis. Interobserver variability was assessed using percent variation. Results : C-MRA and NC-MRA measurements were highly correlated (r = 0.91-0.98) except for the right pulmonary artery (r = 0.74, 0.78). Agreement of measurements was excellent (mean difference -0.07 to -0.53 mm; mean % difference -1.8 to -4.9%) except for the right pulmonary artery which was less good (mean difference 0.73, -1.38 mm; -3, -10%). 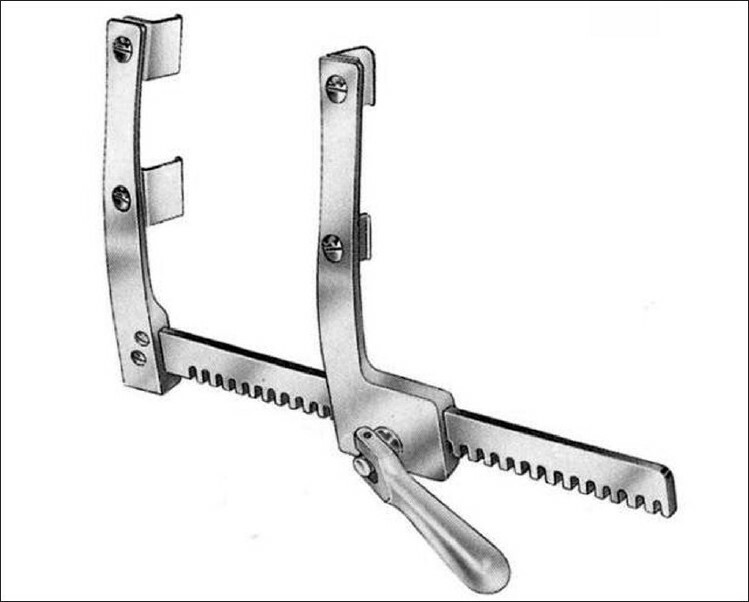 Interobserver variability ranged from 5% to 8% for aortic and from 10% to 16% for pulmonary artery measures. The worse agreement and greater variability of the pulmonary artery measures appears due to difficulty standardizing the measurements in patients with abnormal and irregular vessels. Conclusion : These data indicate that C-MRA and NC-MRA measures are comparable and could be used interchangeably, avoiding administration of contrast in selected patients. Introduction : Pulmonary vascular disease is a risk factor in the surgical management of patients with d-transposition of great arteries (d-TGA) and a ventricular septal defect (VSD). In older infants or children with this physiology, the question of operability often arises. Cardiac catheterization in this condition can be fallacious. It is well known that oxygen reduces pulmonary arterial pressure and pulmonary vascular resistance especially where irreversible pulmonary vascular obstructive disease has still not set in. We tried to implement this effect of oxygen in correlation with echocardiography in patients with TGA-VSD physiology where operability was in question. Methods : Patients with d-TGA and a large post tricuspid shunt in whom operability was considered doubtful were selected for the study. We administered humidified oxygen at the rate of 10 litres/minute by mask for 48 hours in the ward or intensive care unit. After administration of oxygen we reassessed the child echocardiographically looking for signs of lowering of pulmonary vascular resistance which included increased pulmonary venous blood flow to the left atrium (LA) and right to left shunting across the VSD. Observation : We studied 1 patient with d-TGA and aortopulmonary window (APW), 4 patients with TGA / large VSD and 1 patient with Taussig-Bing anomaly. The age of the studied children ranged from 4 months to 3 years with a mean age of 1.1 years. After administering oxygen as described, echocardiogram showed an increase in pulmonary venous blood flow to the LA and right to left shunting across the VSD in 5 patients and increased flow reversal in aorta in presence of the APW. 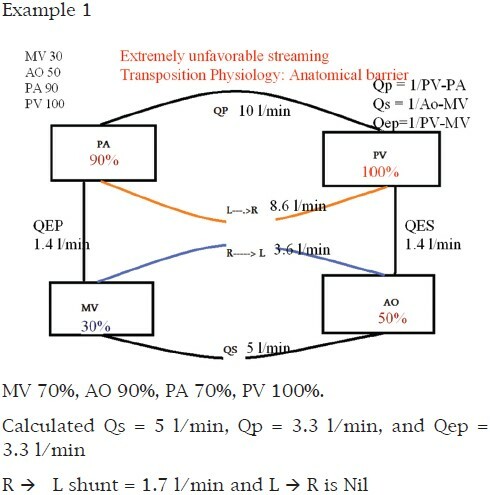 Conclusion : Patients with TGA/VSD physiology with doubtful operability can be subjected to this method of determining operability using echocardiography after administering oxygen. Although not 100% accurate in predicting long term postoperative pulmonary hypertension, this is a simple, noninvasive method that can aid in decision making in such a situation. The prevalence of coronary anomalies in the transposition of the great arteries is high. Transfer of the coronary arteries during arterial switch operation is the principle step and incomplete transport of the coronary arteries to the neoaortic root results into iatrogenic coronary problems. 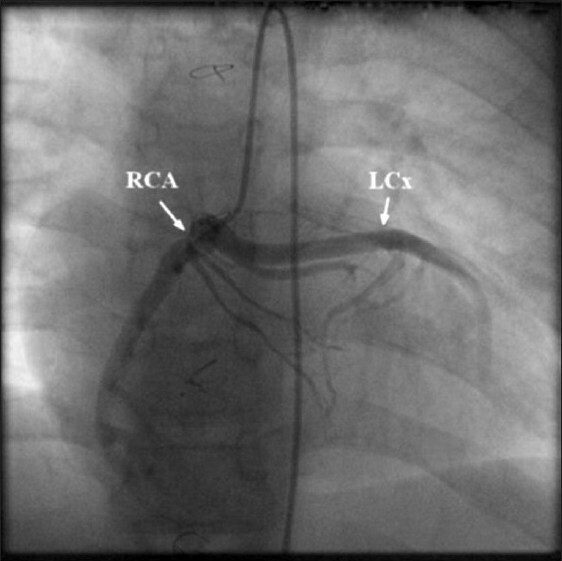 We present a case with the residual left anterior descending coronary artery originating from the pulmonary artery as a complication of the failure of transfer during the arterial switch operation. 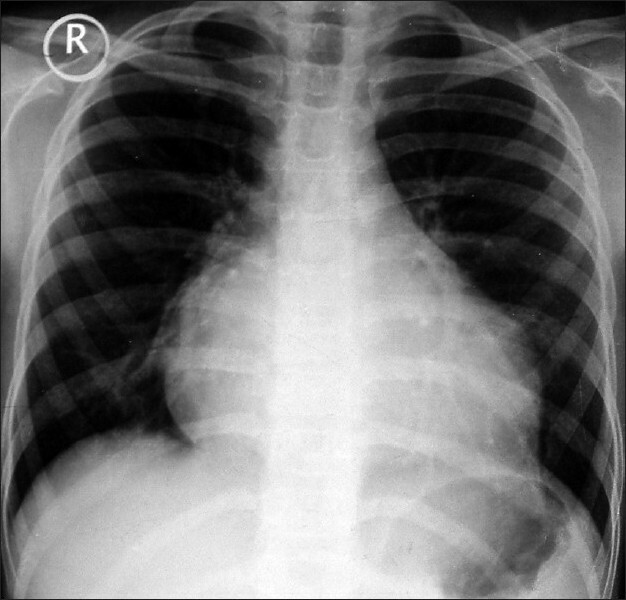 Pericardial cysts are uncommon congenital abnormalities that occur in the middle mediastinum. Most of these are found incidentally on chest x-rays. The occurrence of pericardial cyst in children is quite rare. It needs to be differentiated from other cystic mediastinal masses. 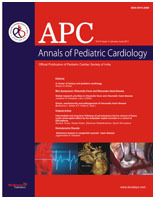 A rare case of pericardial cyst in a 5 year old male child is reported. 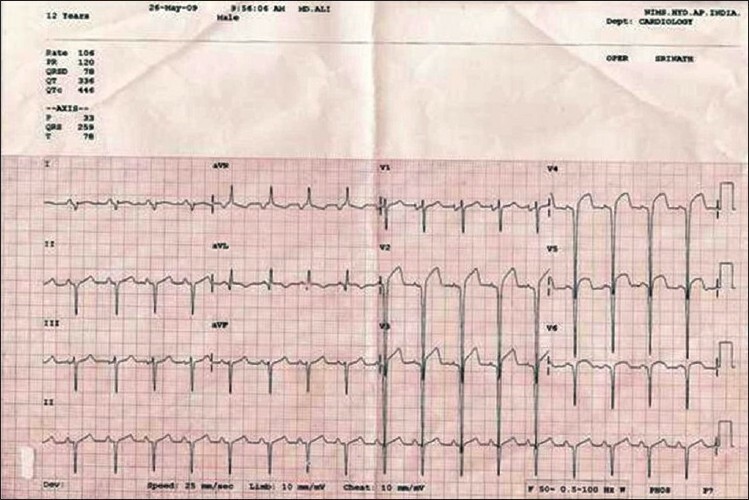 The child presented with chest pain, cough and fever. 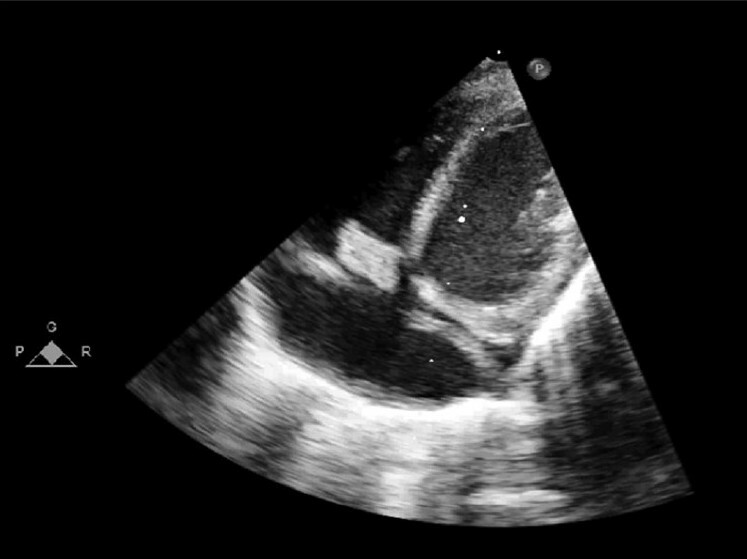 The preoperative diagnosis of pericardial cyst was suggestive on echocardiography and CT scan. It was confirmed on histopathology after successful surgical excision. 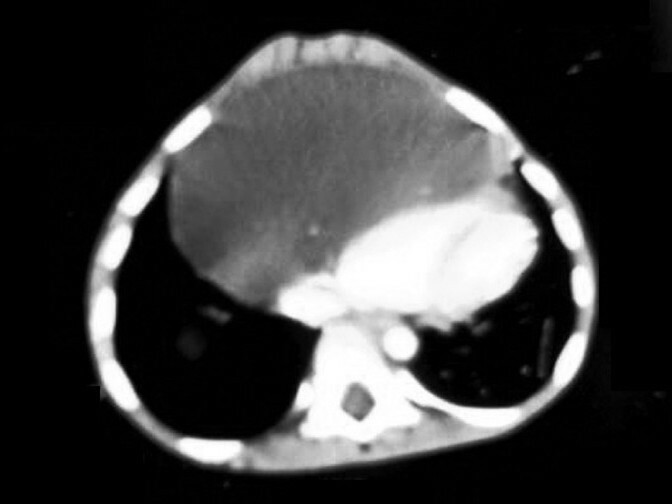 The rarity of this benign mediastinal lesion in children prompted us to report this case. Reninoma, a renin-secreting tumor of the juxta-glomerular cells of the kidney, is a rare but surgically treatable cause of secondary hypertension in children. 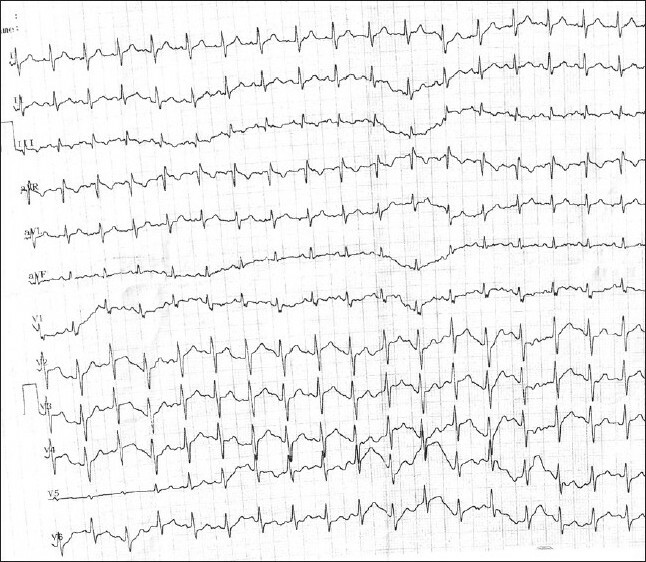 We report a case of reninoma presenting as cardiac syncope with long QTc on electrocardiogram due to hypokalemia. In LEOPARD syndrome, mutations affecting exon 13 of the PTPN11 gene have been correlated with a rapidly progressive severe biventricular obstructive hypertrophic cardiomyopathy (HCM). 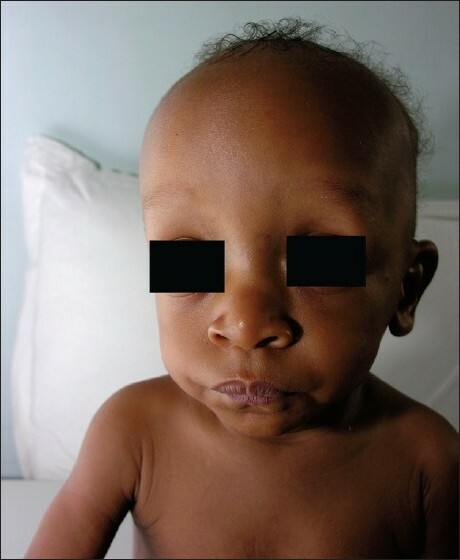 This is a report of early onset severe HCM in an infant with LEOPARD syndrome and an unusual mutation in exon 13, showing genotype-phenotype correlation. 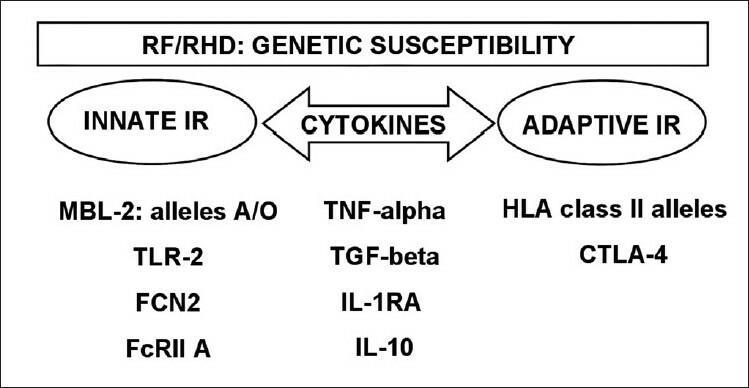 The yeast Kodamaea (Pichia) ohmeri is a rare human pathogen with infrequent report of neonatal infection. Native valve endocarditis by Kodamaea ohmeri is extremely rare. 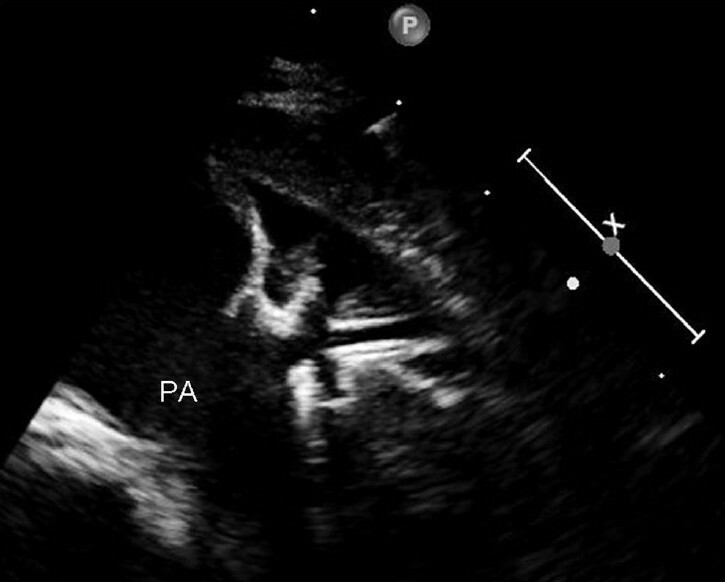 The current case report describes a case of fatal nosocomial native valve endocarditis without any structural heart defects in a 40dayold baby. The patient was referred to our institute after having ICU stay of 18 days in another hospital for necrotizing enterocolitis and was found to have obstructive tricuspid valve mass and fungemia with Kodamaea ohmeri. In spite of the treatment, patient developed sepsis with disseminated intravascular coagulation and could not be revived. Myocardial infarction in children is extremely rare and can have various etiologies. The following two case reports highlight rare but important causes of myocardial infarction in children. Medicine in the 21 st century is increasingly dependent on technology. Unlike in many other areas, the cost of medical technology is not declining and its increasing use contributes to the spiraling healthcare costs. Many medical professionals equate progress in medicine to increasing use of sophisticated technology that is often expensive and beyond the reach of the average citizen. Pediatric heart care is very technology-intensive and therefore very expensive and beyond the reach of the vast majority of children in the developing world. There is an urgent need to address this situation through development and use of appropriate technology in accordance with the needs and priorities of the society. A number of simple and inexpensive quality measures that have the potential of improving outcomes substantially without the need for expensive equipment should be instituted before embracing high-end technology. Innovations to reduce costs that are commonly used in limited resource environments should be tested systematically. We present the cardiac magnetic resonance images of an unusual form of cardiac tuberculosis. Nodular masses in a sheet-like distribution were seen to infiltrate the outer myocardium and pericardium along most of the cardiac chambers. The lesions showed significant resolution on antitubercular therapy.